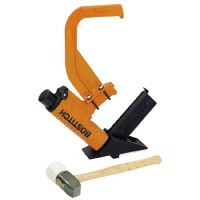 In our web shop we have pneumatic tackers, battery opperated and electric tackers and their fasteners. With us you get the lowest prices; always, not only with special offers. 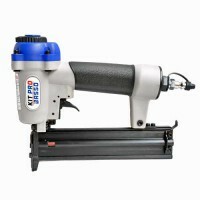 Pneumatic bradnailer B21/35P-A1 by KitPro Basso® for 21G micro brads The tacker fires 21G brads f.. 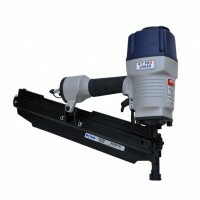 The pneumatic bradnailer M10-MG30PND by Nikema® for 21G micro brads is designed for parquet layers. .. 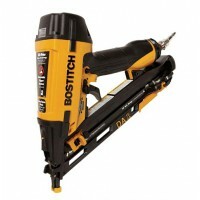 The pneumatic bradnailer DA1564K by Bostitch® for angled brads type DA comes complete with a host of.. The MIIIFS pneumatic flooring tool is perfect for where large areas of flooring need to be laid. 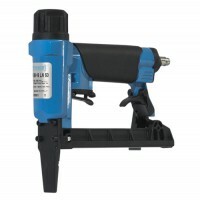 It ..
Pneumatic stick nailer A22/90-A1 by Basso® for plastic collated round head nails with a wire diamete.. 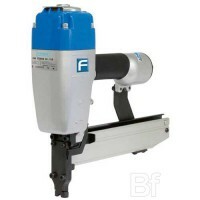 Compact pneumatic staple gun F1B-80-16-LN by Fasco® with a long-nose. The tacker fires staples ty.. 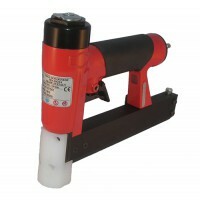 This electric stapler from Maestri® is produced in Europa and ideal for upholstery. Fires staples.. 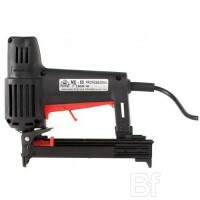 The pneumatic staple gun F46 FENCE 40-315 from Fasco® is a powerful fencing tacker designed for the ..